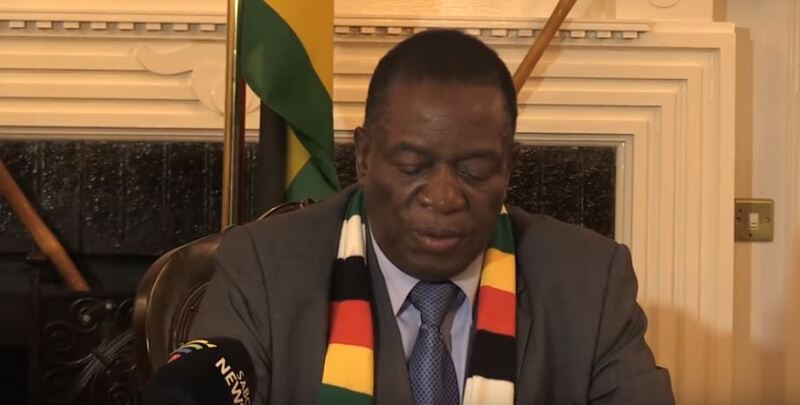 Zimbabwe's president invites opposition for talks - SABC News - Breaking news, special reports, world, business, sport coverage of all South African current events. Africa's news leader. It will be the first meeting between President Mnangagwa and opponents since he took power from Robert Mugabe in November 2017. More than 20 politicians who contested July’s presidential election were invited, two of whom Lovemore Madhuku and Noah Manyika said they would attend. It would be the first meeting between Mnangagwa and opponents since he took power from Robert Mugabe in November 2017. The president hiked fuel costs by 150% last month and immediately travelled abroad, triggering unrest that drew a violent response from security forces and eventually persuaded him to cut short his foreign tour. There was no immediate comment on Tuesday’s invitation from Mnangagwa or his spokesperson. Nelson Chamisa, who heads the main opposition Movement for Democratic Change party and who counts Manyika among his allies,could not be reached for comment. The MDC believes Zimbabwe is reverting to the authoritarian rule that characterised the regime of long-time leader Mugabe and says the election that confirmed Mnangagwa as president in July was rigged, an allegation the judiciary rejected. On Tuesday the striking Zimbabwe Teachers Association(ZIMTA), the biggest teaching union, said most of its members had stayed at home but that security agents had gone to some schools taking details of absent teachers. This entry was posted on 06 Feb 2019,06:45AM at 6:45 AM and is filed under Africa, Homepage Featured Story Slider. You can follow any responses to this entry through the RSS 2.0 feed. Both comments and pings are currently closed.